Well, the time is almost upon us. 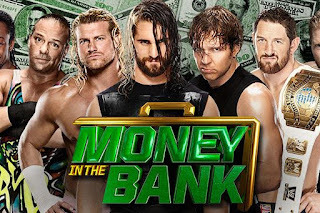 Money In the Bank 2016 is almost upon us, and with this big event getting closer and a solid card to boot, I wanted to look back at the short history of this PPV and see how the past events measure up. There have only been 6 events over the last 6 years or so, but since the inception of the PPV, Money In the Bank has become something truly special. Let's take a look at the PPVs, where they are ranked and why. -This is by far the worst of them all. Very odd how this went to be honest, as the event doesn't have many highlights, but the MITB matches are pretty good at least. The women's matches were underwhelming and the Sheamus vs Cena match was pretty bland aside from the Nexus interference, but all in all, this still some solid action, and the Smackdown MITB was great, though Kane winning and cashing in same night is still a bit mind boggling for me. The Miz winning MITB is really a big deal, as I wouldn't expect him to get that victory. Regardless, it was a halfway decent show all in all, but not enough bright spots to get it ranked higher on this list at least. 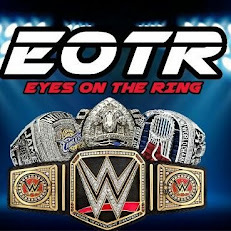 -This had a lot of potential as a PPV aside from the RAW MITB match. I thoroughly enjoyed the PPV when I first watched it, though on repeat viewings, it doesn't hold as well as I thought I did. Still, the highest point of this remains the Smackdown MITB and the WWE Title Match between CM Punk and Daniel Bryan. I also enjoyed Sheamus vs Del Rio though I was so bored of them both. The match was good however, and I enjoyed it like I enjoyed the Primo and Epico (how many times have these guys been repackaged, Jesus) against the Prime Time Players match also. The low point of this however was the women's match and the RAW MITB, which headlined the show, and saw Cena win, surprise surprise. Despite that, this isn't a bad show overall, much like the 2010 version, it's a decent show, just far too middle of the road though I really enjoyed the Smackdown MITB and Punk vs Bryan. -I liked the event though I really hated the outcome of the main event because it was exactly like the 2012 main event, except Cena wins the title instead of the actual briefcase. 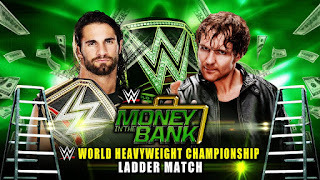 There were some great moments, mainly the MITB match for the briefcase, which saw Dean Ambrose confirmed as a big star going forward with the way the crowd reacted to him. Seth Rollins won his ticket to superstardom with the briefcase victory and The Usos vs Wyatt Family match was pretty damn good also. Also, Paige vs Naomi isn't a bad match either, though not great. This PPV is slightly above average and features huge moments which gives it that extra boost here. -This event was great where it counted. I don't expect WWE events to be perfect, but I do hope they turn solid and this one did without a doubt. 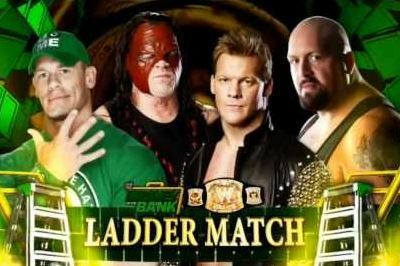 While there is some filler on the card, like the horrible Ryback vs Big Show match and Nikki Bella vs Paige (which wasn't a horrible match per se), the rest of the card is great, including the MITB ladder match which had moments of fun, and the Bray Wyatt return to cost Reigns the briefcase was golden. New Day vs Prime Time Players was a good match, Seth vs Dean was great, and Cena vs Owens was a classic. This could honestly be no. 2 on the list, but for now I'll leave it at no. 3. Solid show all around. -I don't dislike any match on this PPV honestly. Each match served a purpose and was either alright to amazing. Cena vs Henry wasn't the best match, but it entertained me, and Henry having such a dope storyline and opportunity was truly something to witness. I even enjoyed the Axel vs Miz match, some of Jericho vs Ryback, Ziggler vs Del Rio, The Shield vs The Usos, AJ vs Kaitlyn and more. 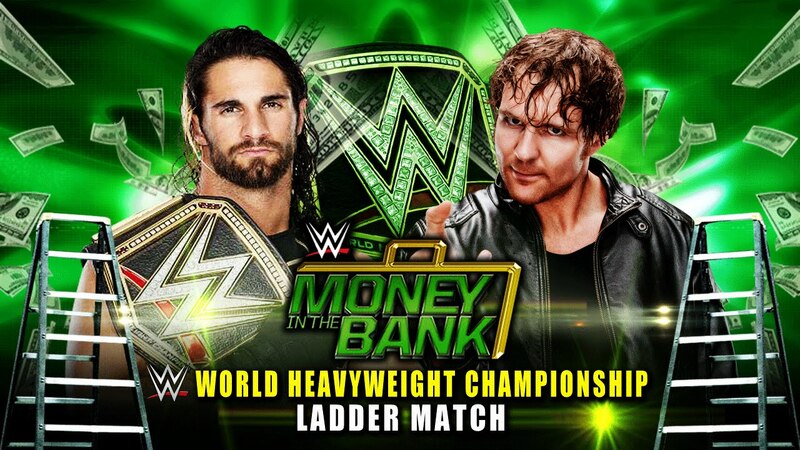 However, no shock that the best matches on this card are the two MITB matches. Sandow had so much potential and I wish he would have won his cash in. Orton and his win was smart in retrospect, and the match was extremely fun. 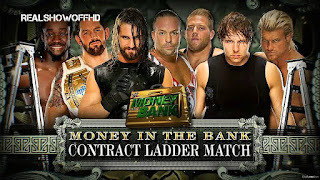 This was definitely a great PPV, probably one of the best of 2013 during that really small period of WWE hitting on all cylinders (June 2013- August 2013). -Was there any other choice? Aside from the Big Show vs Mark Henry match that began the Hall of Pain, this was a classic PPV with great match and moments all around. Both MITB matches were great, the crowd was hot, Christian and Orton had another really good match, but when we speak on this PPV, we know damn well what is the focus. The Summer of Punk was well underway and this was the culmination of an epic storyline so to speak. In front of his hometown Chicago crowd, Punk and Cena put on a 30 minute classic that saw Punk walk away with the 1-2-3 victory and etched a moment in time. Will 2016 take the top spot on the list? It certainly has the potential. Money In The Bank has become a big PPV for WWE and it shall continue the legacy. Have any thoughts or disagree with these rankings? Post your comments below.